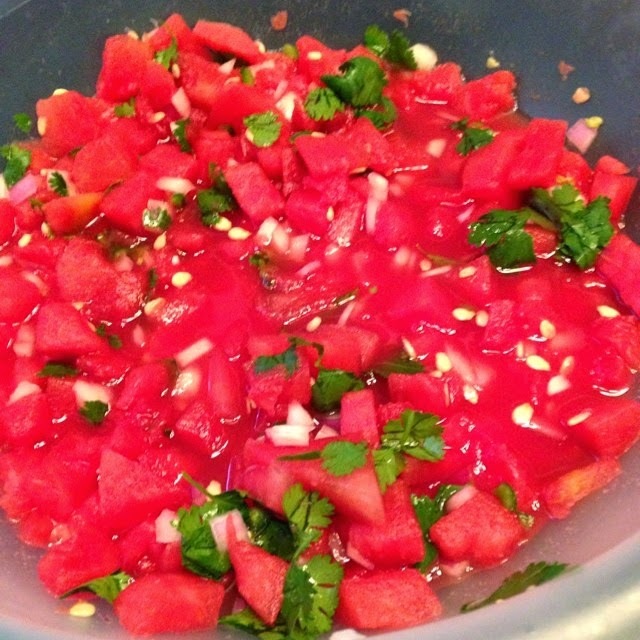 Watermelon Salsa --definitely worth sharing! SO easy and quick, it's amazing how delicious this is! Then add chopped cilantro, red and yellow onions (chopped about 1/2 of each onion) and 1 fresh jalapeño (more or less depending on how much heat you want). I brought it to share with a group of people and used 1/2 jalapeno. It was just enough kick for the wimps in the group. The watermelon does a nice job of toning down the heat of the jalapeno. I LOVE some heat so if I make it for myself, I will use the entire jalapeno. Yep that easy and just like the farmers market. Serve with tortilla chips and watch it disappear. So unbelieveably refreshing! I have recently decided to sell Scentsy. It is a product I quickly became addicted to and thought I would give it a whirl! 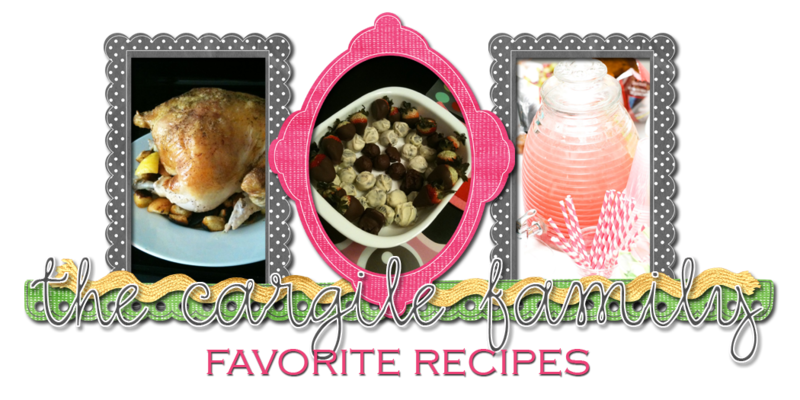 I would really appreciate it if you would take the time to check out my website and view all the fabulous products I have to offer! 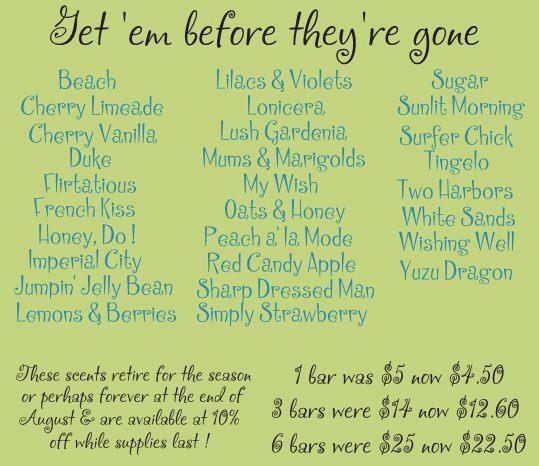 A lot of the summer scents that I love are being discontinued this Friday so we can make room for all the new FALL scents (hmm...pumpkin anyone??) 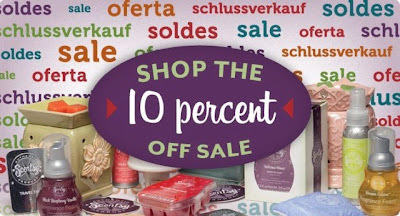 so for just a couple more days you can get most of your favorite summer scents (and others) for 10% off! Yesterday, I got a special delivery from the UPS man and I was too excited! It is just like Christmas! So fun smelling all these lovelies. I wanted to make some pretty strawberry lemonade cupcakes but was feeling pretty lazy and decided to experiment by combining cake mixes! I made both boxes separately. For the lemon cake mix, I added a heaping tablespoon of lemon curd (more if you want a stronger lemon flavor). I decided to mix the cake mixes in different bowls so I could experiment with with how I wanted the cupcakes to turn out. I wanted a pink center in the cupcake so I added the lemon first then strawberry on top. I thought they turned out to be very yummy! 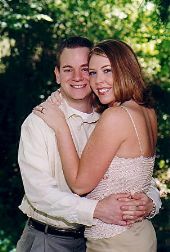 Aren't they pretty?? Below are the cupcakes I layered: lemon cake batter on bottom, strawberry batter on top. I prefer the layered ones because the flavors were more distinguishable and created that perfect strawberry lemonade mix I was aiming for! These are the cupcakes where I mixed both cake batters together. They look pretty but the taste had a more strong lemon flavor and I couldn't taste the strawberry. I wouldn't make them like this again unless I were to add fresh strawberries to it so make it pop more. Are you ready for this one? Looks so pretty on Kelsey's hot pink plate, doesn't it? It tastes just as good as it looks!! Boil chicken. I used chicken tenders for this because they cook faster and are easier to shred. While chicken is cooking, put all onions in pan and cook until translucent (20-30 mins). Shred cooked chicken. Blend/puree diced tomatoes with chipotle peppers and adobo sauce. When onions are thoroughly cooked, add tomato sauce and simmer for 20 min. I was in a time crunch and didn't wait the 20 minutes. I just threw the chicken in it, too! Let cook together for 20 minutes and I added a little of the chicken broth/water (from the pot I boiled my chicken in) to thin it out a little. 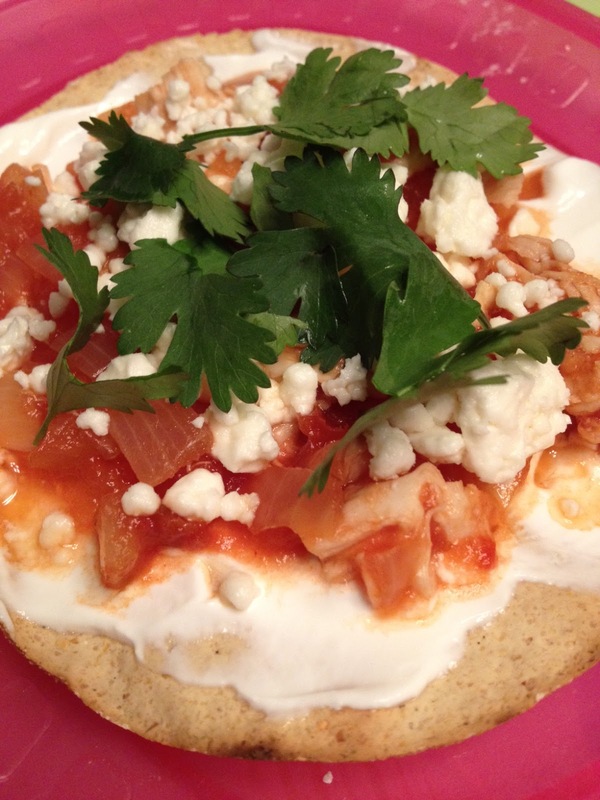 While this is cooking, I prepped my tostadas. This is SINFUL and only 3 ingredients to make! 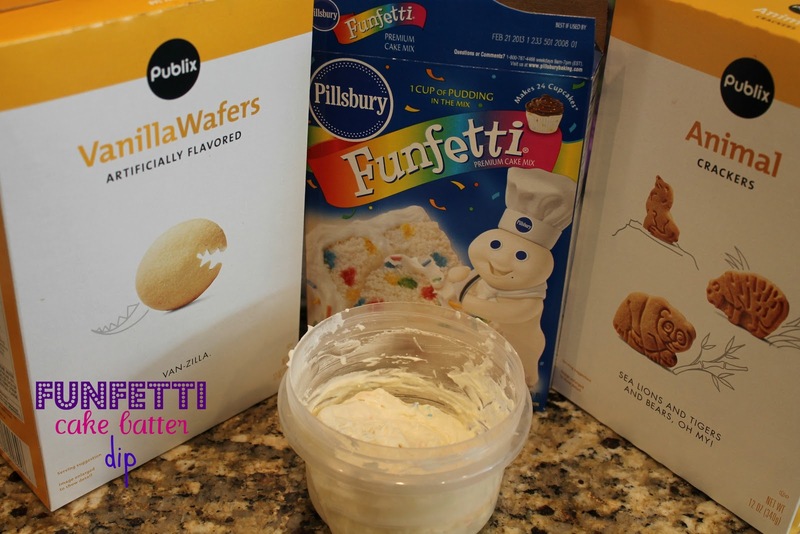 Wisk cake mix and yogurt until smooth. Fold in cool whip. Refrigerate until serving. Serve with pretzels or animal crackers. Perfect for Super Bowl or any other party. Kids and adults eat this up! Great appetizer for the Super Bowl! 1 cup shredded sharp cheddar cheese (this is approximate. I generally just pour it in there, and I like more cheese than less). Mix all of the ingredients until well blended. 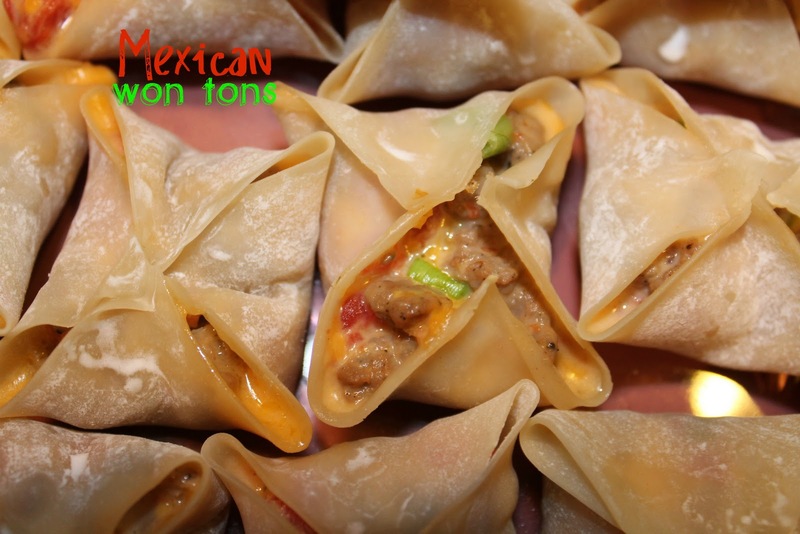 Scoop onto won tons and twist in the middle (dip fingers in water to help won tons stay closed). Bake at 350 degrees for approx. 4 minutes (or until the edges get slightly golden). BE CAREFUL BECAUSE THEY WILL COOK FAST AND EVEN A SECOND OVER CAN CAUSE THEM TO BE NICE AND BLACK (I speak from experience). Allow to cool. 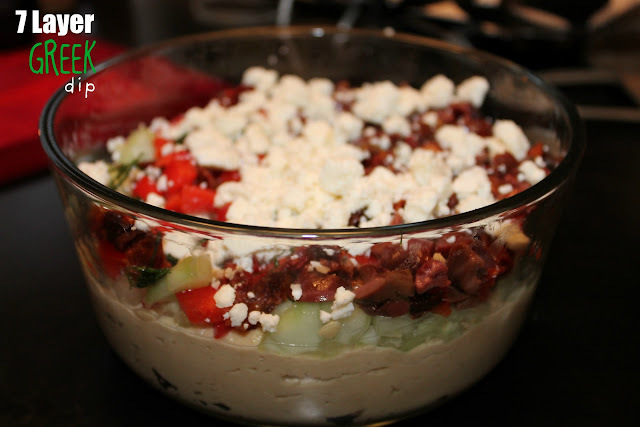 I recently made this 7 Layer Greek Dip for a New Year's Eve gathering. I made it in place of the typical 7 layer mexican taco dip that we've all had and loved but I was searching for something different! My daughter and I LOVE hummus and feta cheese so I knew between me and her it would be demolished. 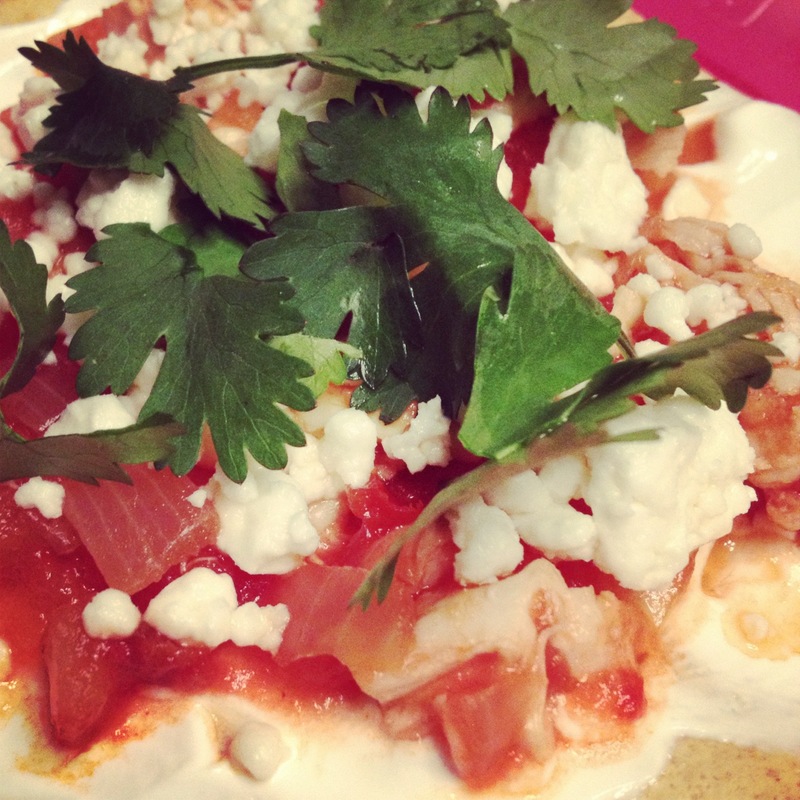 7. feta cheese --I NEVER use this sparingly. YUM! You really can't screw it up. Add more or less. It is going to be delicious! I'm totally making this again for Super Bowl. Can't wait.